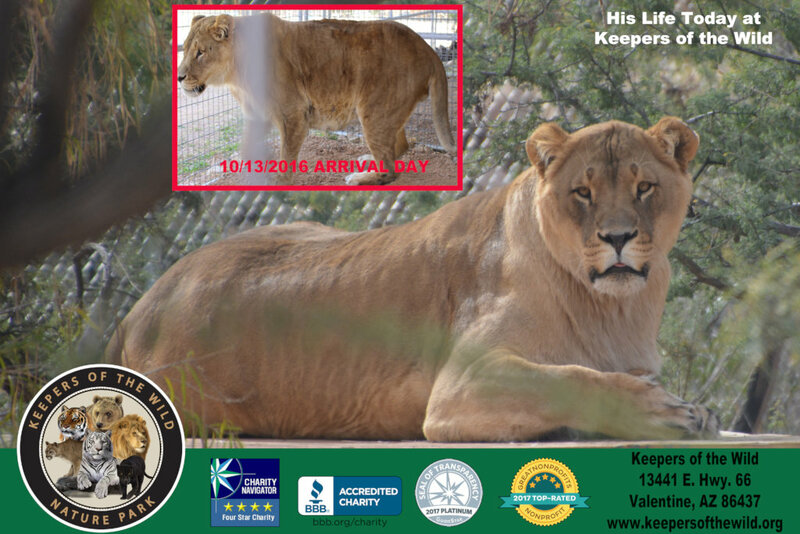 Keepers of the Wild is home to over 145 rescued wild and exotic animals including lions, tigers, bears, leopards, cougars, bobcats, primates, wolves and more. 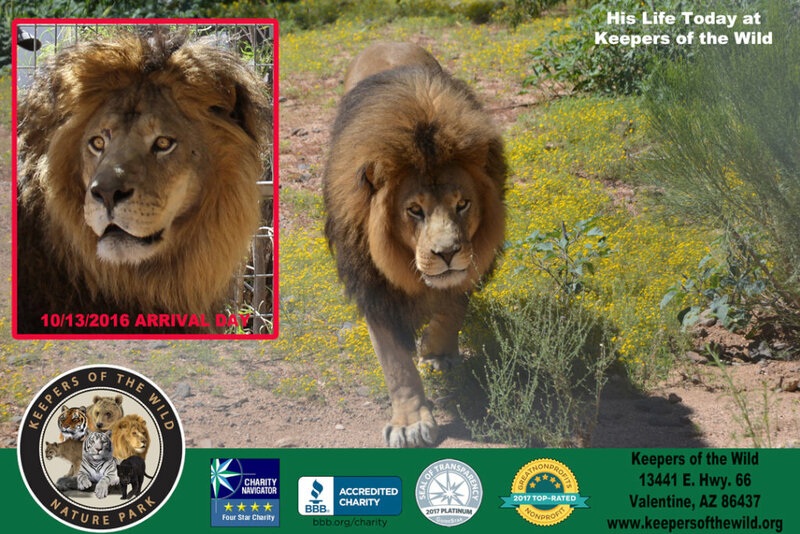 We have rescued sixteen more animals this year, including six bears and three big cats. 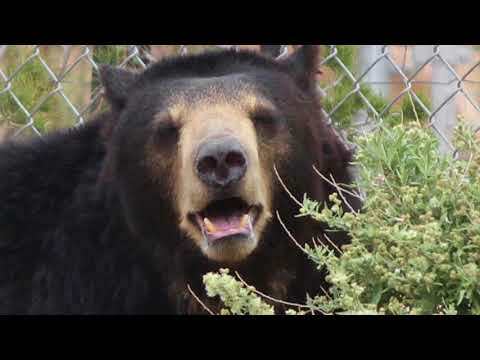 The bears alone have raised our food bill by over $70,000 this year! That's not including any other animals or care expenses. 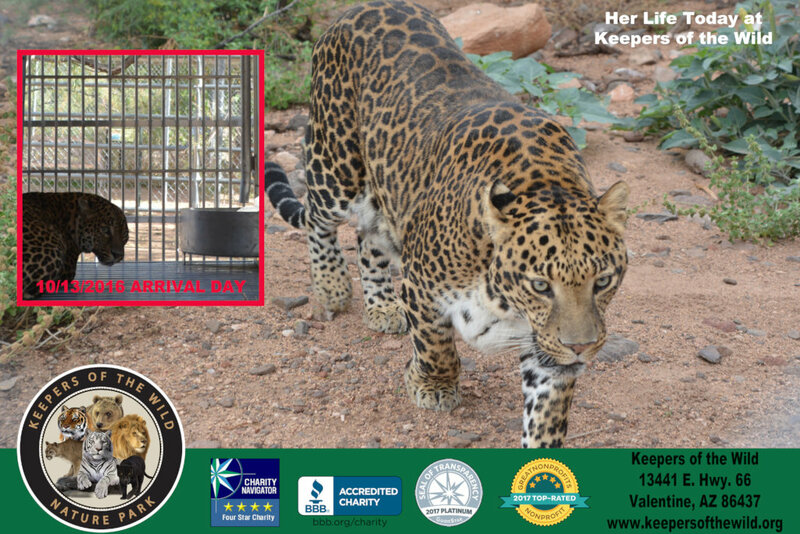 Please help Keepers of the Wild with your donation to care for rescued animals. Captive raised wildlife are primarily bred for the sole purpose of profit. 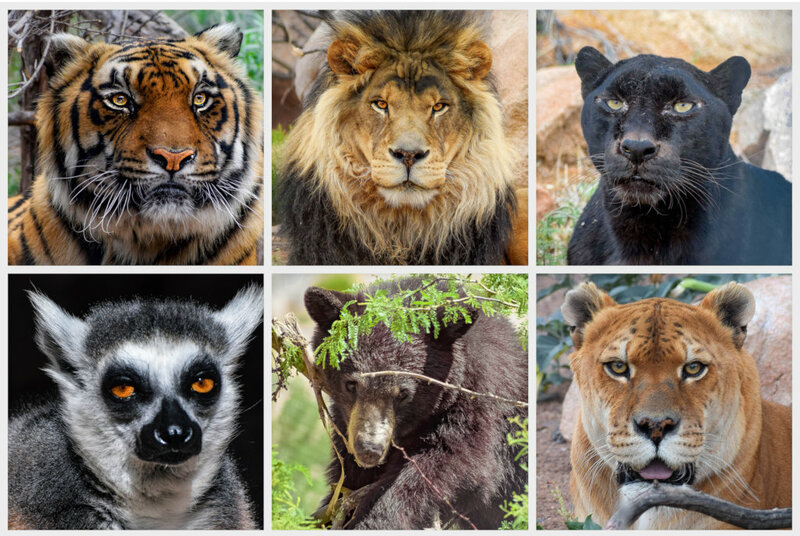 Unscrupulous breeders of exotic animals play a significant role to supply the demand of the exotic animal pet trade, circuses and traveling acts, photo ops and roadside zoos. The animals we rescue have endured traumas of many kinds. Most of these animals have been isolated, confined to small cages, and suffered from a lack of proper nutrition and medical care. Many wouldn't be alive without our intervention. Your support gives animals a second chance at life. Your support is critical and helps us rescue animals from deplorable conditions and provide them with the safe, life-long home they deserve. New arrivals and long-time residents all benefit from quality care on a daily basis. All animals on our grounds receive fresh water, high quality food and supplements, medical care, enrichment toys, comfortable shelters and spacious natural habitats-- and their contentment shows! 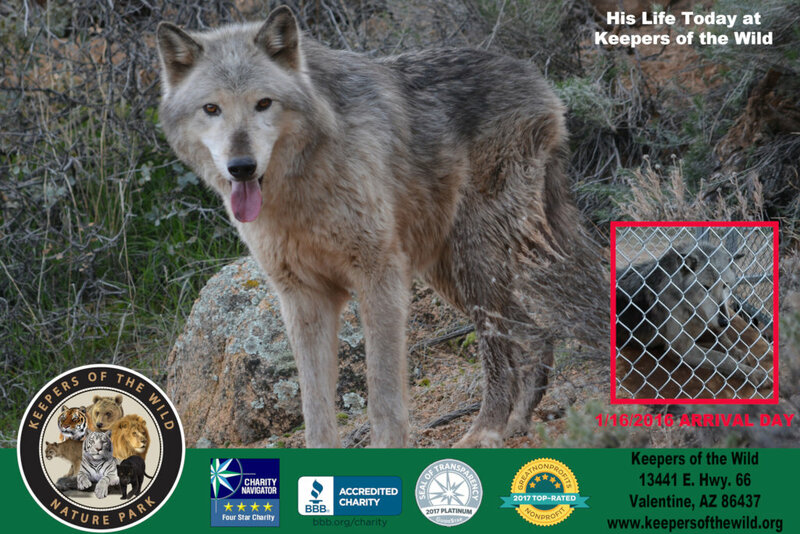 Keepers of the Wild provides a life-long home and true sanctuary to all the animals it rescues. 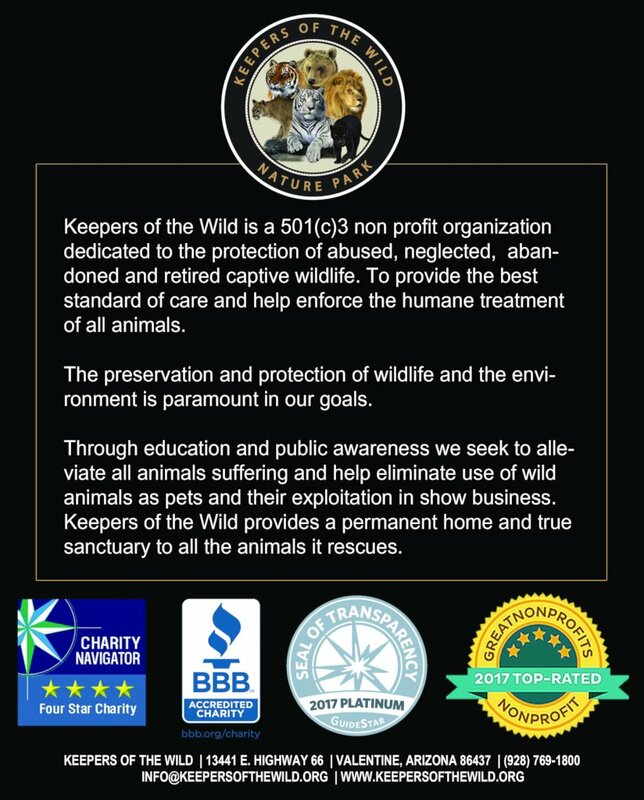 Through education and public awareness we seek to alleviate all animal suffering and help eliminate use of wild animals as pets and their exploitation in show business. Our educational tours and presentations are designed to enhance an individual's knowledge regarding the plight of exotic and wild animals in captivity and in the wild. Approximately 15,000 people visited the sanctuary last year.